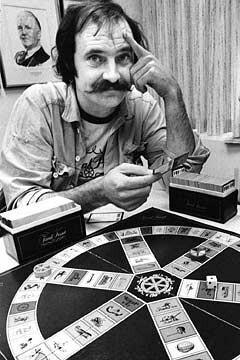 Chris Haney, one of the creators of the Trivial Pursuit board game, died Monday, May 31st. But what does Chris Haney and Trivial Pursuit have to do with SCRABBLE? Well, SCRABBLE and Trivial Pursuit are both owned by Hasbro, but that's not the interesting part. Chris Haney and his co-conspirator Scott Abbott got their inspiration... um... motivation because of SCRABBLE. On December 15, 1979, Haney and Abbott were playing SCRABBLE while enjoying a few beers when the two realized there's money in board games, and that they could make a better one (although that's up for debate). Over the years, there have been several statements as to what really happened that night between the buddy Canadian journalists. The television movie Breaking All the Rules: The Creation of Trivial Pursuit (1988) portrays Haney and Abbott as semi-alcoholics, coming up with the idea while drunkenly fussing over a missing SCRABBLE piece and how they would have to buy another game. Wikipedia, Slate, Absolute Astronomy, and Idea Finder all state it was because of the missing SCRABBLE tile that they had the ingenious innovation (minus all of the booze). The New York Times claims that the two friends were simply sipping their first beers when they came up with the idea for a trivia-based board game, and that they were designing it in seconds. They wanted to make a game just as good as SCRABBLE. The Record and CBC News give the credit to pure banter while playing SCRABBLE. Haney's own Montreal Gazette says it was while "toiling" over a SCRABBLE game. Also mentioned by The Vancouver Sun. The Times Online and The Globe and Mail state that it all went down in a bar during lunch hour. The Telegraph combines the lunch, beer, and missing SCRABBLE piece stories into one. 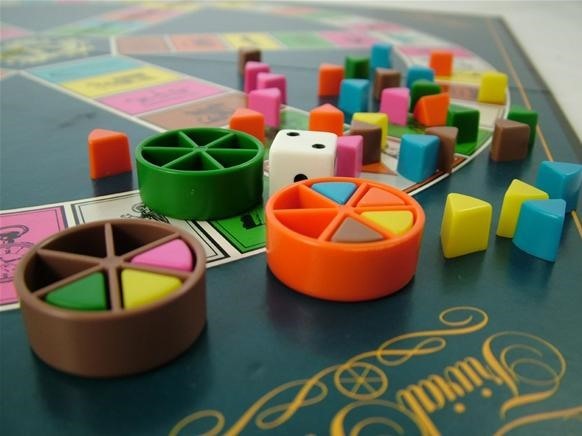 The State "states" that the idea for Trivial Pursuit first came on the Saturday before Christmas, which would make the date December 22, 1979, not the 15th. Haney and his wife Sarah were shopping for their dear friends Abbott, and brought him a SCRABBLE set, but not before griping about the inflated purchase price. They then realized how much cash was in games, and that a trivia game would make them rich. But it doesn't really matter which story is more accurate. They all are very similar, and they all state that Trivial Pursuit was originated over a friendly game of SCRABBLE. That's all that really matters. And Chris Haney's memory, of course. Trivial Pursuit: the only board game I've played since CandyLand. Love this game. 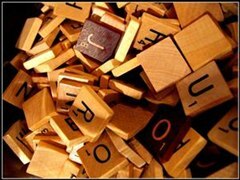 Maybe you should try your hands at Scrabble!